August is often a time for family vacations, with parents squeezing in travel before the school year starts again (although some schools now start in early August!). For many people, the hotel pool is the first stop after they drop their bags in their rooms and parents often struggle to get kids to wait that long! Hotel pools are often filled with laughter and the site of long-lasting, happy memories. Unfortunately, however, hotel pool drowning is a real danger. While we hope that one day the service is no longer needed, until that day we will proudly serve drowning victims and their families as a Northern California pool injury law firm. The headline of an NBC Los Angeles article told an amazing part of the story: “Man Learns CPR, Rescues Family Week Later at Motel Pool.” According to the report, an 11 year old boy and 12 year old girl were playing in a motel pool when they wandered into deep water on Monday. Their mother instinctively jumped in to help, but neither she nor her children could swim. A Good Samaritan heard their screams, scaled a fence, pulled all three out of the pool, and began CPR until emergency personnel arrived. The man had only learned CPR the week before. When paramedics arrived, all three were in cardiac arrest. An update from CBS San Francisco on Wednesday said the mother and daughter remained on life support but the boy was breathing on his own. While their outlook is unclear, we still consider the passerby a hero. Drowning is a serious threat as a statistic-filled infographic on the U.S. Consumer Product Safety Commission’s Pool Safely website illustrates. Drowning leads to more unintentional deaths for children between one and four years of age than any other cause. In an average year, 390 children die nationwide from drowning in pools and spas and 5,100 children suffer drowning-related injuries that lead to emergency department visits. 48% of drowning injuries occur in residential pools and 24% occur in public pools (including apartment complex pools). A map on the infographic page shows California had the third highest number of accidental drowning deaths in 2012 for children aged 0 to 14. Premises liability law involves the duties that a property owner and/or operator owe to those who enter the property. If a drowning occurs in a hotel pool, premises liability is the area of law most likely to provide recourse to the injured or the family of the deceased. Generally speaking, an owner/operator must use reasonable care to maintain property, including pools, in a condition that is safe for foreseeable users. Civil liability could attach if a pool area is negligently maintained. For example, a hotel may be liable if a pool’s exit ladder is not well-attached and a patron is hurt or drowns because the ladder comes loose when the patron tries to use it. Another example might be if a patron drowns after slipping and falling because the hotel used the wrong cleaning agent and it made the deck unreasonably slippery. A hotel may also be liable if a pool area does not meet safety laws and requirements, including having safety equipment available and accessible and making sure drains are properly covered. 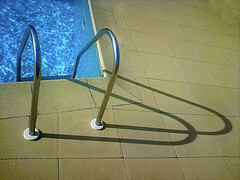 There are two areas pf premises liability law that may be particularly relevant in pool cases. The first is a duty to warn of dangers that are not obvious. Potential examples in the case of hotel pools might be posting a sign warning that water is too shallow for diving or making it clear where the depth of a pool begins to increase. The second is the extra duties owed to children. These are particularly relevant in the case of an “attractive nuisance,” a dangerous but appealing space like a trampoline or pool. This duty may require taking special efforts to keep children from accessing a pool when it is closed and otherwise ensuring they are not alone in a pool area. Pools can be great fun. They can also be dangerous. If the negligence of a hotel (or another pool owner/operator) leads to a drowning injury or death, call our swimming pool lawyer in San Jose, Santa Rosa, Oakland, or San Francisco. We can help you get money damages from those at fault.